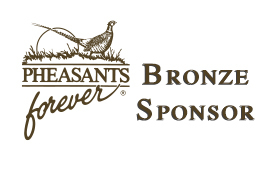 Quail Forever Commonwealth Chapter's members are truly passionate about creating, preserving and restoring habitat that benefits pheasants, quail and other upland wildlife. This unique model empowers local chapters with the responsibility to determine how 100 percent of their locally-raised conservation funds will be spent. QF 3133's efforts payoff in The Parklands.Click the link to read more. Creating, restoring, and maintaining habitat is a constant battle. We invite you to join the Commonwealth Chapter of Quail Forever in its quest to ensure a country rich in natural resources and long on people willing to work to preserve them. 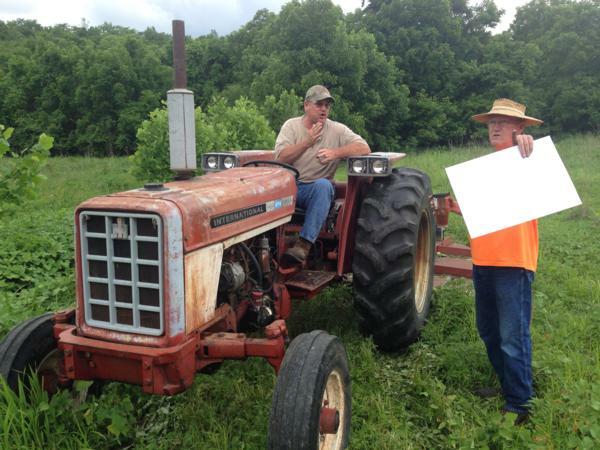 The featuted photo is of a chapter members land and shows the fruits of his labor. Every year the Commonwealth Chapter has on going projects throughout the community. With our proceeds from fundraising and donations from community leaders, we are fortunate enough to give back, putting all our money in the ground to preserve habitat throughout our region. If you know of a project or would like to learn more about how to help in the effort to preserve your local habitats, please feel free to contact us with any questions. Our Chapter has been actively engaged in projects to improve Bobwhite quail habitat since the Spring of 1992. During that timeframe we have partnered with the Kentucky Department of Fish and Wildlife Resources (KDFWR), the Wild Turkey Federation, The Nature Conservancy, et al. Expenditures for educational material, equipment, chemicals, seed, and other items has exceeded $450,000. 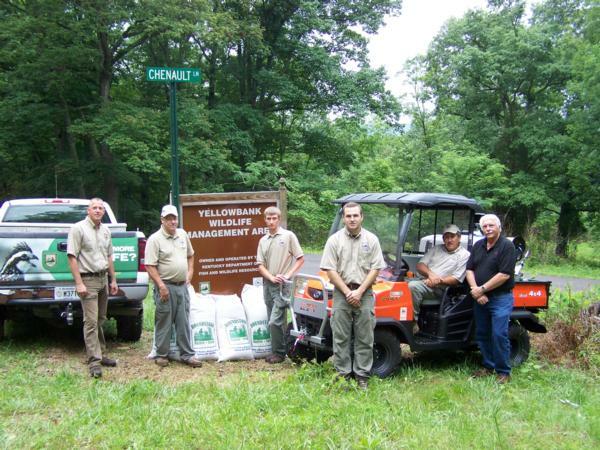 Expenditures for equipment have focused on providing specialty equipment for use on KDFWR Wildlife Management Areas including, but not limited to, Yellowbank and Peabody W.M.A.'s. Some of the equipment we have purchased: warm-season grass drills, bog discs, bushhogs, mowers, sprayers, 4-wheel vehicles fully-equipped for conducting prescribed burning, ATV's equipped for spraying, hydraulic tree shears, cargo-tainers for storage chenmicals and seed, tylemmetry transmitters for quail reasearch, and a variety of others. The warm-season grass drills are available for use on private land. Contact the staff at Taylorsville Lake W.M.A. to schedule use of this equipment. Our Chapter has been actively involved with the largest quail research project ever conducted on re-claimed surface mine lands. This project was conducted on Peabody W.M.A. 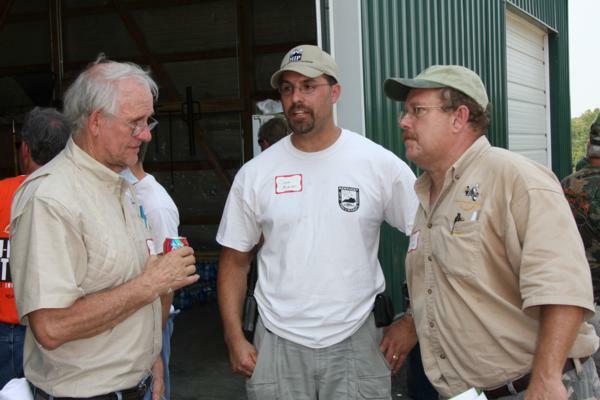 in Ohio and Muhlenberg counties over a multi-year period by the KDFWR and the University of Tennessee. A wide variety of habitat management practices were employed on this most challenging landscape. Quail population responses were intensively measure using advanced tylemmetry methods and numerous population surveys including data gathered from hunters. With this info, KDFWR has established "best practices" for future management of habitat on re-claimed surface mines.